Terex Roadbuilding introduced at the CONEXPO-CON/AGG 2011 in Las Vegas the market’s first front-discharge mixer truck line powered by EPA 2010-compliant diesel engines. Currently, ready-mix producers can choose between 350-, 380- and 425-hp ratings of the Cummins ISX11.9 diesel engine for the 2010 EPA-compliant mixers. But now Terex offers an MTU/Detroit Diesel DD13 2010 EPA engine option with power ratings of 350-, 380- and 450-hp. The new trucks offer improved performance and increased fuel economy over 2007 EPA-compliant models, according to the manufacturer. 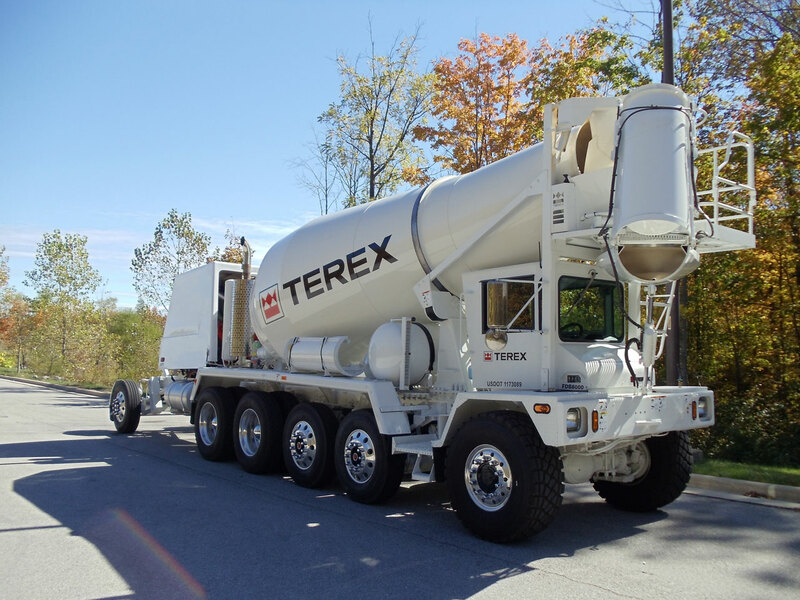 The emissions solution for Terex front-discharge mixer trucks relies on Selective Catalytic Reduction (SCR) technology to treat post-diesel particulate filter (DPF) exhaust. A 5-gallon tank positioned at the rear of each mixer stores the system’s diesel exhaust fluid (DEF). Depending on the truck’s workload, DEF usage averages 2 to 3 percent of diesel fuel consumption. All new front discharge mixers feature an electronic control module located on the engine that automatically senses whether or not the truck is carrying a load of concrete. 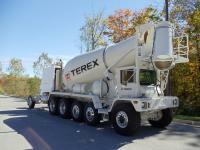 This drives the new load-based shift scheduling found exclusively on Terex® front-discharge mixers. By stretching the shift patterns based on truck load, these trucks offer better performance or mileage. Terex engineers tucked away the more sensitive electronics on 2010 EPA trucks – including the hose heat fuse, hydraulic tag fuse, engine power, SCR power, air dryer fuse and DEF hose heat relay – in their own sealed compartment. This enhances system longevity and offers easier access to the electronics for diagnostics and servicing. 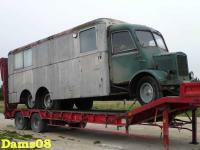 The after-treatment system – DPF, SCR and decomposition chamber – is now secured to the truck frame rather than mounted directly to the engine. This virtually eliminates vibration transfer from the engine for longer service life.